Can you believe it? Over the past decade, Nicole has built and cultivated a community of loyal readers and digital friends. She has inspired countless moms throughout the country to prioritize style, self-care, and keep a sense of humor in the process. She has shaped the NYC blogging world, helped other women make money doing this &apos;lil thing called blogging (have you heard of it? ), and employed a group of like-minded women who also want to work hard, play hard, and be around for all the little moments as their babies grow up. (Amen to that, Nicole!) Oh, and I&apos;m not kissing up here... I was a Momtrends reader well before I became a member of the Momtrends team. 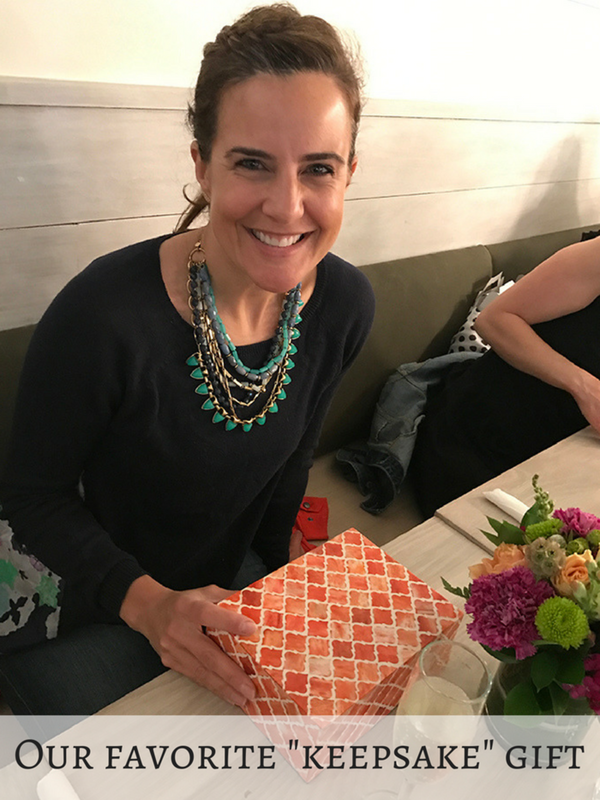 We’re a tight-knit team here at MT HQ, and so we wanted to celebrate our collective accomplishments, and honor Nicole’s vision and leadership. Ten years of dominating the digital space—that’s nothing to sneeze at. So obviously we had a champagne toast at our anniversary luncheon (I mean, the ladies of Momtrends will never pass up an opportunity to sip wine). But, what&apos;s more, we wanted to give Nicole a special gift that she can keep and love forever: a Boombox. No, wait… Hold on and back it up a second. I’m not talking a John Cusack Say Anything style boombox—although, I’m pretty confident that anyone of us at MT would happily serenade Nicole on any given day. 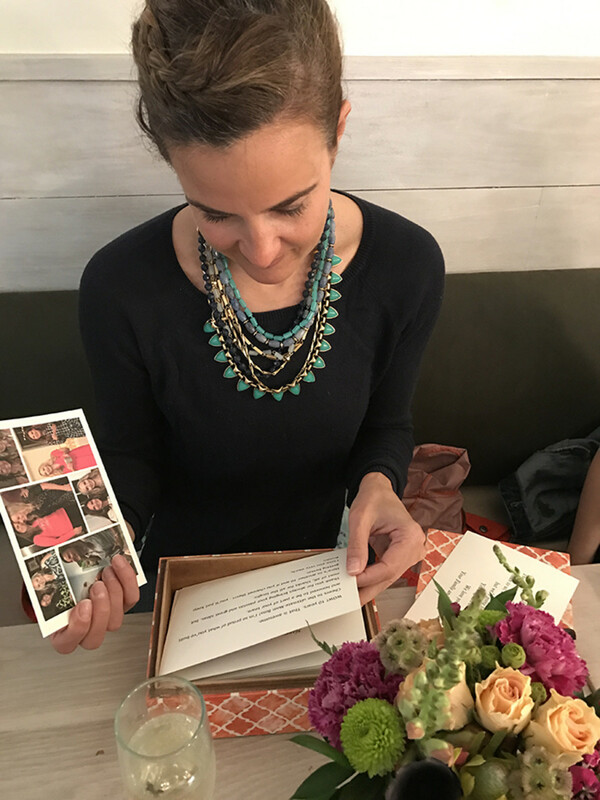 No, this is a keepsake "boombox" of custom-printed photos and messages made just for Nicole—a unique gift and a totally immersive and memorable experience. As the Boombox givers, we invited Nicole’s friends, family members (even her children! 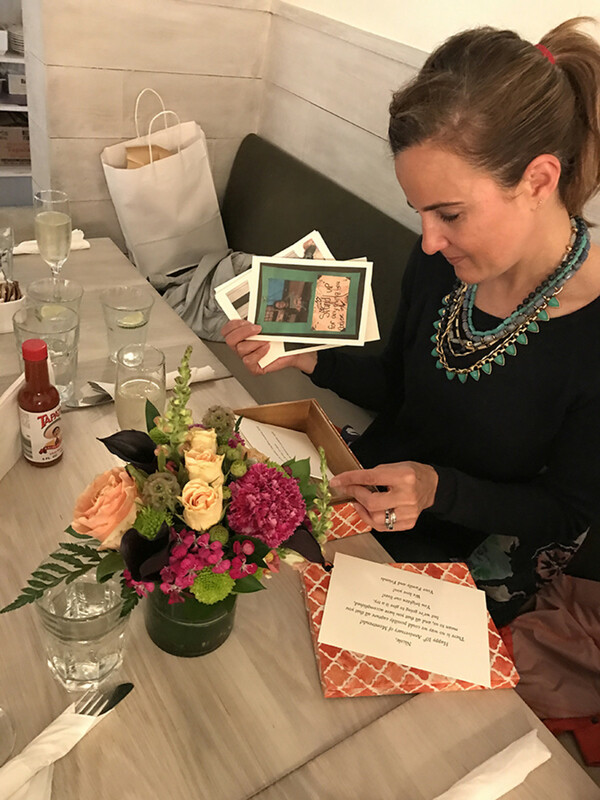 ), employees, colleagues, and clients to write a special message just for Nicole, and include a photo—resulting in a truly one-of-kind collection of memories... Tear-inducing, laughter-producing, smile-creating messages and photos that just skim the surface of what the last ten years has meant to so many people. 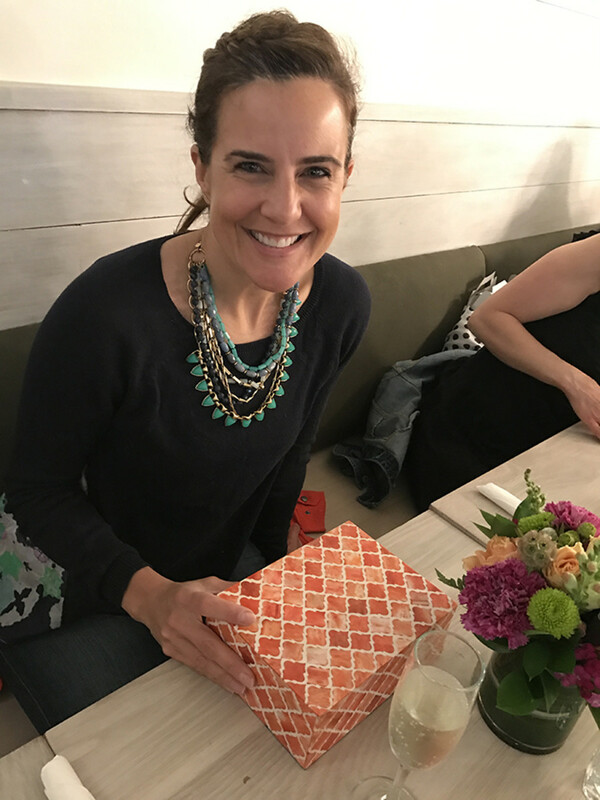 Needless to say, Boombox makes an incredibly thoughtful gift for big birthdays, anniversaries, showers, weddings, retirements, and other special occasions. 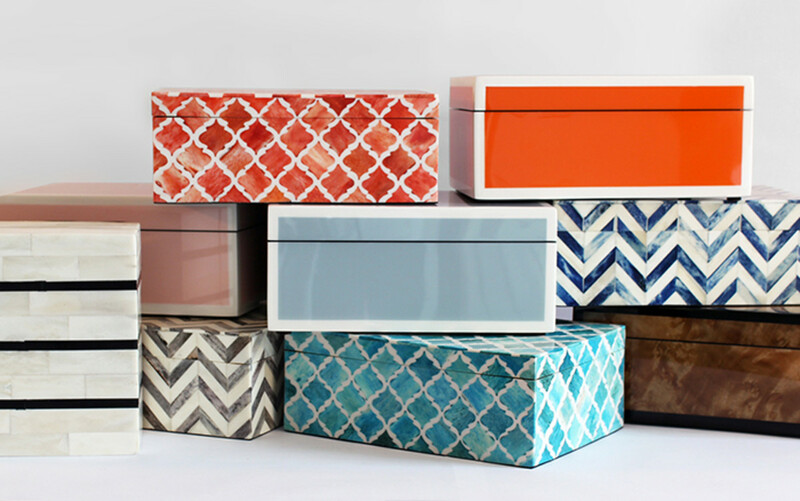 There are 10 gorgeous boxes to choose from, and each can hold up to 150 messages, memories, quotes, and photos, all printed on premium 5×7 card stock. Once you’ve collected your “stories and images” from contributors, you can upload everything online to a password-protected page or you can also invite others to contribute via a simple email and reminder button. Throughout the process, the Boombox team provides design guidance and support to create custom layouts for every single card. They’ll even provide you with a PDF of your card layouts to preview and edit before everything goes to be print. The result? A stunning gift and treasure box of memories… 10 years strong and more to come.